Since its establishment in 2007, World ORT Kadima Mada (WOKM) has transformed education in Israel with STEM* programs, notably serving peripheral communities of greatest need. The Kadima Mada framework spans the socio-economic spectrum and provides educational opportunities to citizens of all ages and backgrounds in the following divisions. Serving some of Israel’s most vulnerable youth, the WOKM Educational Network is composed of the schools in Kfar Hassidim, Hodayot and Abir Yakov youth villages, the Rabin and Levinson junior and senior high schools in Kiryat Yam, and Kfar Silver youth village. A last chance for teens from dysfunctional backgrounds who have struggled in the conventional academic system, these schools provide motivating environments that enable students to overcome challenges and build a bright future. WOKM partners with Affiliated Schools throughout Israel to provide pedagogical guidance, state-of-the-art technology and equipment and the training of teachers. Affiliated Schools have access to educational forums, curriculum resources, exchange programs and other components to bolster effectiveness and provide quality instruction to students in under-resourced peripheral areas. This after-school program for students of all ages in disadvantaged peripheral areas offers exciting and interactive ways of learning STEM in dynamic, fun environments. Hands-on courses in aerospace, physics, forensics, architecture, robotics and other subjects with experts in these fields pave the way for youth to excel and consider eventual careers in these professions. Comprising the Technological College of Be’er Sheva, Tel Hai College and Erez College, the WOKM Technological Colleges Network offers young adults in the north and south of Israel specializations in practical engineering, architecture and information technology. Through its partnership with the colleges, WOKM enhances curricula and provides training for teachers and “hands-on” equipment. WOKM was instrumental in establishing the first natural gas practical engineering study track at these colleges to train specialists prepared to meet the needs of this new industry. 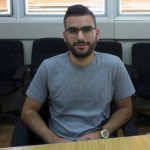 Ben, a student in Beersheva Technological College, part of the technological colleges network, who is enrolled in the practical mechanical engineering and natural gas certification program. The premier science and technology international scholarship program of WOKM, Anières Elite Academy connects talented students from around the world at the Technion (Israel Institute of Technology), where they are encouraged to further their advanced STEM pursuits under the mentorship of top instructors. Initiated in 2013, Anières puts gifted students on a direct course for higher-level studies at the Technion. Hospitalized children temporarily unable to attend school can fall behind in their studies. The Kav-Or program brings instruction, social activities and entertainment to these young people to maintain their progress while in hospitals throughout Israel. And Kav-Or expanded to provide resources and support for homebound children too sick to attend school with the Shlabim program, ensuring they continue to receive a good education as well. The first WOKM Future Learning Space at Tuvyahu high school in Beersheva serves as the prototype for the eventual installation of many more throughout Israel. With state-of-the-art technology, equipment, devices and modern furnishings conducive to collaborative and inter-connected learning, the Future Learning Space is appreciated by students and teachers. Purchase an ORT Charitable Gift Annuity and receive exceptionally competitive, high-return rates and a guaranteed income stream for the rest of your life, while supporting our educational programs.